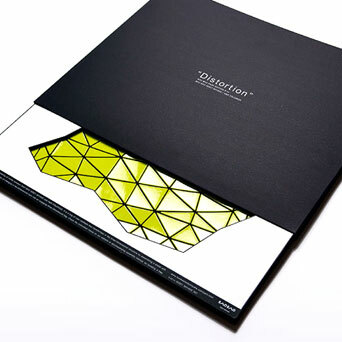 Distortion is the 4th and newest edition in a series of bags from Issey Miyake. Inspired by minimalism and in a do-it-yourself mode, the triangular modules are distinctive signature of the Bao Bao Park project. 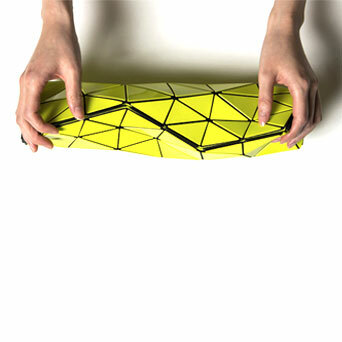 Here, they are shaped like a folded up leaf that can go from flat to three dimensions and become a futuristic minaudière. 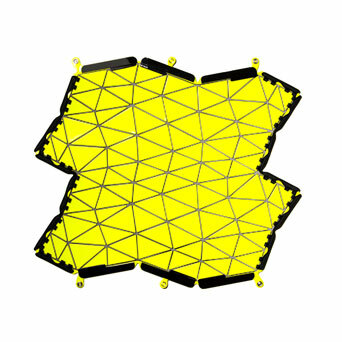 Conceived in collaboration with Rodrigo Solorzano and Naoki Kawamoto, of the Anglo-Japanese design studio N&R Foldings, Distortion bags come in black, white or yellow and will surely captivate fans of origami. Available now in Japan and, soon, in Europe.